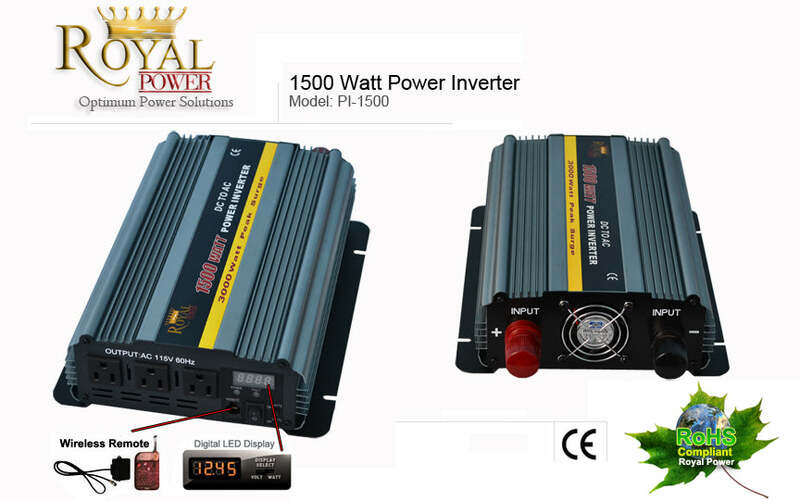 The Royal Power 1500 Watt 12 volt dc to 120 volt ac modified sine wave power inverter allow you to take direct current from a car, truck, boat or free standing battery and convert it into alternating 120 volt standard current. The 1500 watt unit includes a digital monitoring system, wireless remote and internal fuse protection. This inverter can operate between 10.5 volts to 15 volts input power and with automatically shut down once the dc voltage is outside that range. This inverter can provide as much as 12.5 amps of AC power. 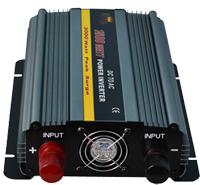 This 1500 Watt 12 Volt DC to AC Power Inverter is specially designed to perform under extreme conditions. This unit can provide over 12 amps of power which gives you the ability to power a large variety of electronics. From all types of battery chargers, TV’s, Power Tool (Power Drills, Saws, Pumps, Vacuums), microwaves, air conditioners, water pumps and air compressors.